William G. West, The Company's founder, began working in the powder metal industry as an mechanical engineer. The sintered metal manufacturing process uses finely granulated powder metals such as iron, steel, stainless steel, brass, bronze, and copper and forms them into many different types of long lasting parts. William soon recognized the need for a higher quality, one-piece product and a responsive manufacturer. In 1964 he answered this need with the creation of National Sintered Alloys, Inc., located in Danbury Connecticut. 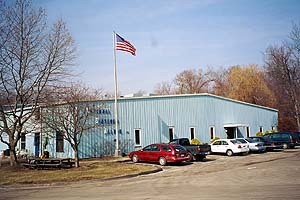 The Company was relocated to its current facility in Clinton, Connecticut in 1973 where superior quality products are produced in an atmosphere dedicated to addressing and meeting the client's needs. National Sintered Alloys, Inc. specializes in manufacturing small parts such as gears and sprockets. All products are made to order and to specifications required by the customer. The complete process is covered from research & development to finished part. Presses start with capacities at one ton and gradate upward to 110 tons. Other production and support equipment includes sintering furnaces, machining and finishing equipment, machines for tool maintenance, and metallurgy & testing labs. It is the goal of National Sintered Alloys to provide high quality products and services to its customers, conducting business in an ethical manner and remaining committed to continuous improvement. Employee education and the use of SPC (Statistical Process Control) are vital to our mission and encourage our employees to be their best in every endeavor. Operate with a single high standard of integrity in all aspects of our business. Do not promise more than we can reasonably expect to deliver or make commitments we don't intend to keep. Respect the free enterprise system, develop new ideas, and make the most effective use of time. Always be sensitive to the needs of our people and consider their best interest in all our business decisions. Concern for our customer's needs, treating them fairly and providing high quality products. Provide a safe, productive, quality oriented environment for our employees to work in. We believe our employees are National Sintered Alloys's most important resource. Consequently all dealings will be with fairness, respect and dignity. We provide an environment emphasizing self-development where an employee can grow and be rewarded for accomplishment. Steve's responsibly is to handle the day-to-day administration of the business and staff. 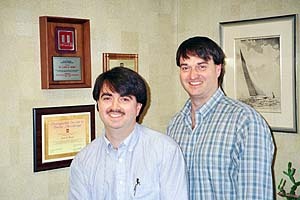 Steve joined the company in 1989 after working as a computer systems analysis. He attended Bryant College graduating with a Business Administration degree. Steve is actively involved with the industry and serves on the APMI (Association of Powder Metal International). Greg's responsibility is to handle the daily plant operations and product engineering. 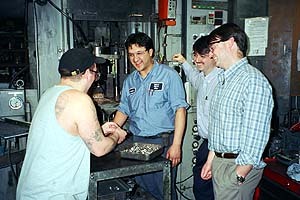 Greg joined the company in 1989 after working as an engineer. He attended Lehigh University in Bethlehem, Pennsylvania graduating with a Material Science & Engineering degree. Greg is actively involved with the industry sitting on technical and standards committees of the MPIF (Metal Powder International Federation) and has served on the board of directors for APMI (American Powder Metal Industry). Steve and Greg joined their father to continue the family business and as a natural outlet for their own business interests. They enjoy the industry and are excited by the challenge of solving a customer's problem by delivering a product that meets their request, and by implementing new and alternative applications. They see the next generation of parts to be produced for alternative fuel products such as automobiles and a greater use of stainless steel. 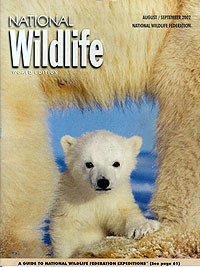 Both are dedicated husbands and fathers who are committed to ensuring a clean, safe environment for future generations.